Perkie's Observations: Will Morgan Kill Julian on General Hospital? 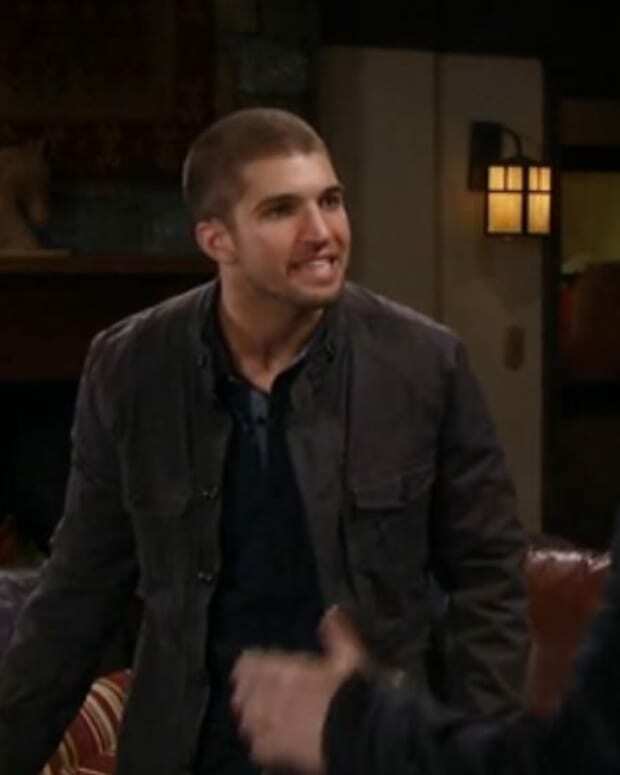 Sonny tells Michael that he heard Morgan say he would kill Julian. Michael and Carly question Milo. He admits he gave Morgan a gun. Michael heads out to find Morgan. Julian and Alexis stop by the penthouse on their way to a cabin hideaway. TJ overhears them say where they&apos;re going. Morgan finds Julian&apos;s apartment empty. He heads to the penthouse and questions TJ until he gets the information he wants. Michael checks Julian&apos;s house and then heads over to the penthouse. Scott&apos;s room&apos;s been ransacked and the flash drive is gone. Scott thinks Ric must have had someone grab it. Ava worries that she&apos;ll lose her freedom. Scott demands his payment, but Ava tells him that unless he finds the drive he&apos;s not getting paid. Dillon&apos;s upset at receiving a cease and desist order from the Mayor&apos;s office, regarding film permits he doesn&apos;t have. Paul mentions knowing Mayor Lomax in law school and calls her up. Paul charms the mayor into retracting the summons and accepts an invitation to meet with her. Tracy&apos;s thrilled that Paul seems to have changed his ways. Patrick comes home to a birthday party in his honor. After celebrating, Anna heads out with Emma and Danny. Patrick and Sam are left alone. Sam gives him a guitar as a present. Patrick&apos;s happy and says he wants to marry her. Sonny worries about Morgan, but Carly reassures him. Kristina hears them say that Morgan is after Julian. He worries about Alexis getting caught in the crossfire. Ava gets rid of all traces of Denise. Paul shows up at her door. Julian and Alexis are happy at the cabin until gun wielding Morgan shows up. Perkie's Observations: Will Julian Find Who's Framing Him on GH?